“This is an ambitiously orchestrated score… with plenty of dexterity… music of sophistication and depth rarely encountered in the “hear it once and forget it” world of film soundtracks. Don’t let this one get away. 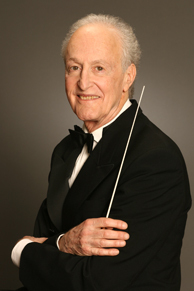 As a composer/conductor and pianist, David Shire is available for pops appearances and smaller concerts. He has performed with such orchestras as the Buffalo Philharmonic, Yale Davenport Pops, Rockland Symphony and North Jersey Symphony; and given recitals in conjunction with master classes at Yale, The University of Buffalo, The University of Virginia, and The Boston Conservatory of Music, among other venues. Shire’s programs offer a mix of his music for film, theater and recordings, and can feature new compositions like Shades of Blue, his jazz suite for orchestra and woodwind soloist, which he wrote for jazz artist Bobby Militello (Dave Brubeck Quartet) and premiered with the Buffalo Philharmonic in 2007. A typical appearance usually includes such exciting artists as Broadway performers Lynne Wintersteller and Loni Ackerman, or Shire’s wife Didi Conn (Grease, Grease II, Benson, Shining Time Station). Shire intersperses his selections with entertaining introductory material and backstage anecdotes, and has sometimes integrated local vocal and instrumental performers or groups into his appearances. Learn about Lights! Action! Music!